Add a modern touch of light to a painting, a desk, a dining room table or media center with this stylish and functional Mainstays Spotlight Accent Lamp! 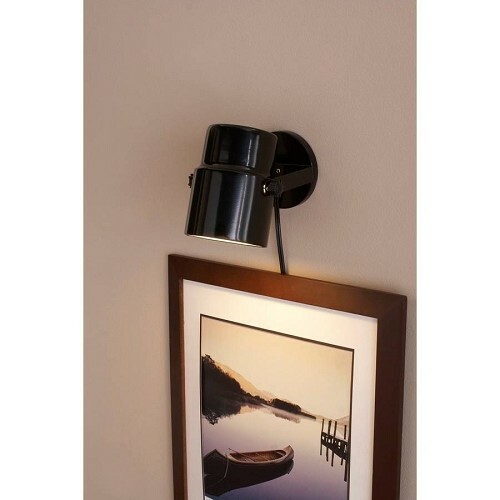 It features a built-in keyhole for wall mounting and a handy in-line on/off switch. 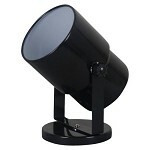 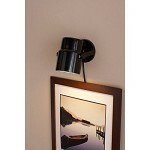 This versatile black-finish Mainstays lamp pivots for your convenience and can also be used as an uplight!